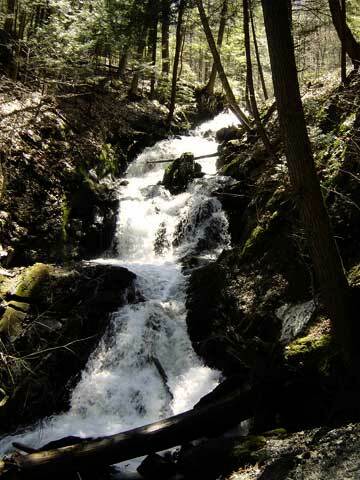 As you drive west on the Mohawk Trail from the valleyland of Greenfield up into the hills of Shelburne, you soon find yourself bounded on either side by a seemingly interminable wall of blasted rock and forested greenery. This transition from the highly developed valley to the rustic uplands serves as a veritable gateway to western Franklin County, ushering visitors and residents alike into its quaint and scenic towns. The keepers of this gateway (or at least a good deal of it on the northern side) are Susan and Larry Flaccus. They are the owners and residents of the charming white farmhouse on the right, along with its 150 acres of dormant orchards and extensive woodlands, which they now operate as the Kenburn Orchards Bed & Breakfast. Susan’s grandfather, K.Y. Taylor, purchased the 150 acres in 1924 from what was once the expansive Allen dairy farm. Over the next decade, with the help of his sons, he planted 40 acres of apple trees, selling fruit roadside along what is now Route 2. Susan’s father, G.P. Taylor, began actively managing the farm in the 1940’s, and he bought the land from his father’s estate in 1956. 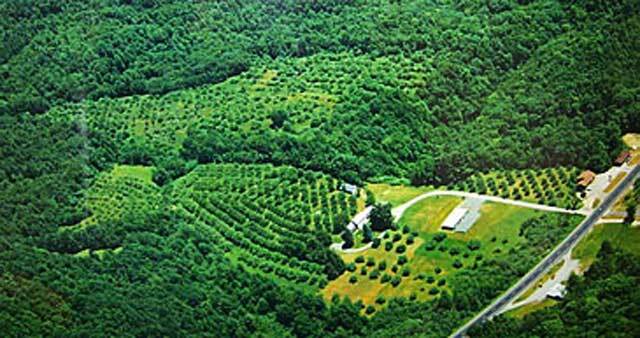 Lacking capital to invest in expensive refrigeration equipment, the orchard was leased out to nearby Mohawk Orchards. In 1974, a brain tumor forced G.P. Taylor into early disability retirement, and he returned to Shelburne to live at the farm full-time. Less than a decade later, then-lessee Valley View Orchards abruptly terminated their contract, and the farm was left untended. 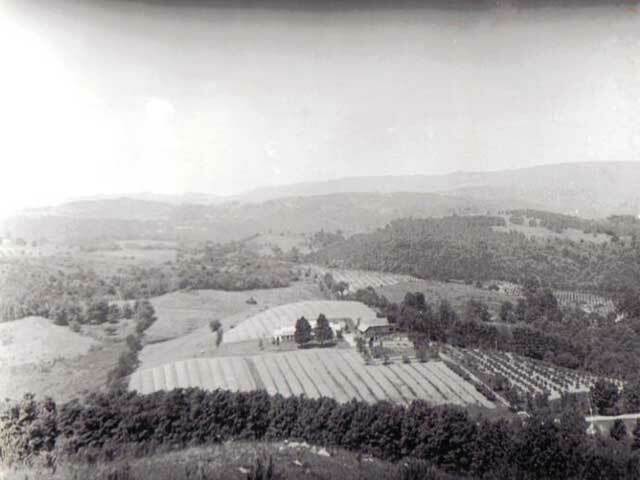 The Taylors were unable to find anyone interested in managing their orchard, even free of rent, due to the declining apple economy in New England. Larry and Susan, who were living in Haydenville at the time, spent every weekend trying to help keep the farm in shape, but there was just too much to be done. G.P. Taylor’s health was declining, his wife was confined to a nursing home, and his farm was slipping into decay, but he remained adamant in his desire to keep from selling the farm that he grew up on, the land that represented his family’s legacy. In 1989, Larry and Susan were able to purchase the farm from Susan’s father, and the property successfully passed on to the third generation. 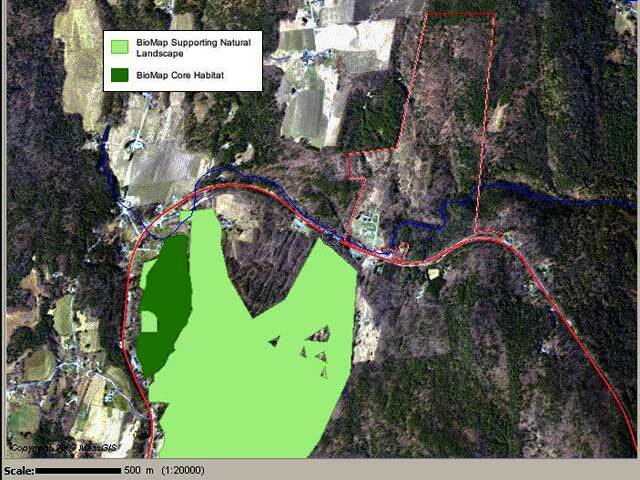 They soon enrolled the 110 acres of woodland in Chapter 61 for forest management, which provided them with a savings on property taxes and allowed them to put some money into upkeep of the farm. In the meantime, they continued to reside in Haydenville. G.P. Taylor died in 1997. Before his death, he made it clear to Susan that he wished her to do everything in her power to keep his beloved farm from being sold and developed. Susan readily consented to her father’s wishes, and she and Larry soon after decided to move to the farmhouse in Shelburne full-time to open the bed & breakfast that they now operate. They have effected these objectives through such management activities as mowing of open areas to maintain early successional habitat, release of mast trees in upland areas by timber harvest, installation of nest boxes for field-dwelling birds, and construction of hiking trails. 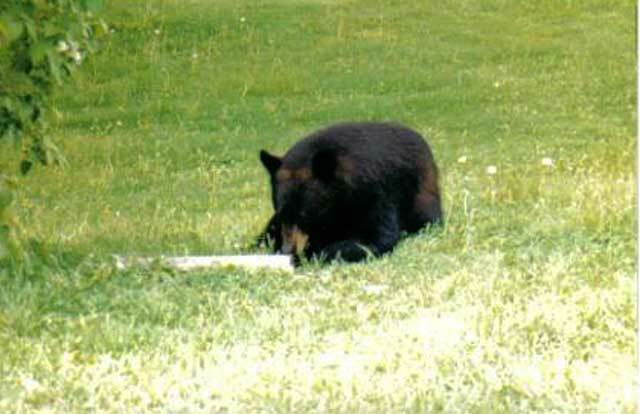 They pride themselves on the animals that visit or inhabit their property, especially the black bears that find their bird feeders each year. When an ambitious guest enjoys a casual walk through their silent old orchards, they rejoice in being able to share the beauty of their home with others, echoing their deep-rooted desire to share it thus in perpetuity. 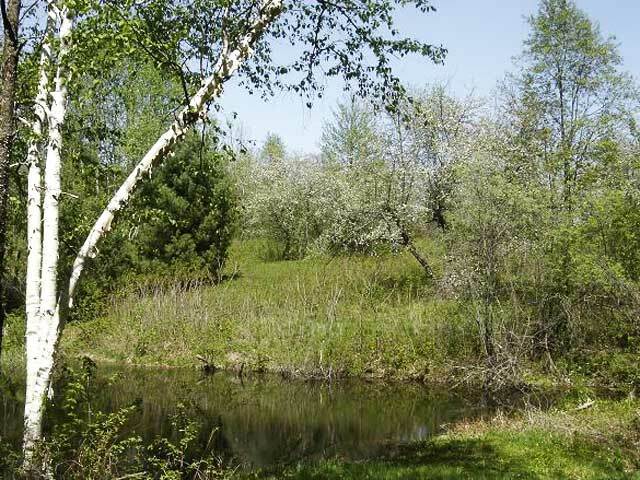 The most conspicuous and immediate feature of the property is the large beaver pond that lies immediately along Route 2. Allen Brook pours out from this impoundment and then disappears with deceptive silence into the woods. Not far out of sight from the roadway, the terrain drops off quite suddenly, and the brook cascades over a series of spectacular falls and into its long course through the steep hemlock-shaded ravine. 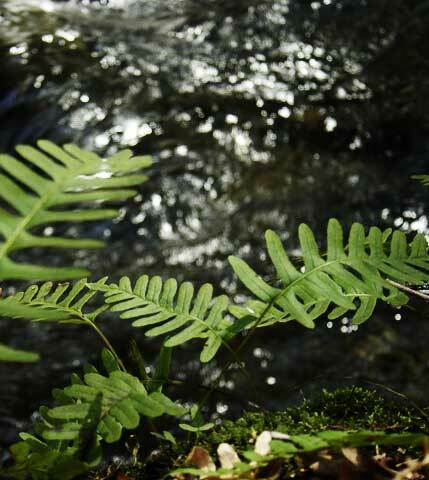 Fern-laden stonewalls line the stream along with fragments of Old Gorge Road, which was once the primary route of travel to points west of Greenfield before the present-day Mohawk Trail right-of-way was established. 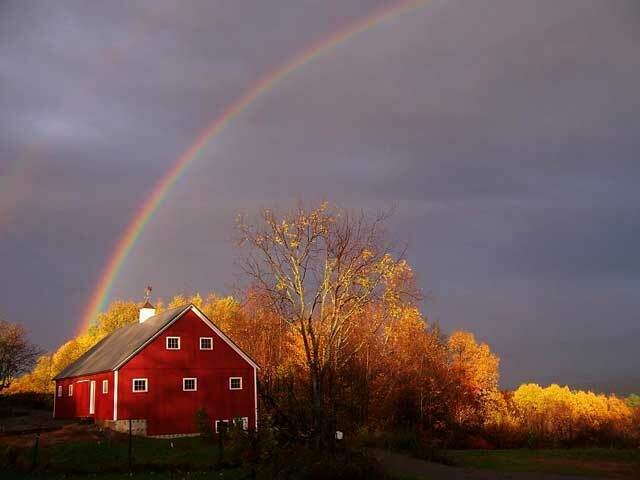 Beyond the beaver pond, on a knoll set far back from the road, are the quaint white farmhouse and the recently constructed red barn, pleasingly situated beside old sugar maples and retired apple trees. The drop-off to the northeast becomes evident with the impressive view that it affords, directing your gaze towards Mount Monadnock some fifty miles distant. A dirt road leads past the barn, then open fields, and then the hauntingly silent orchards, ending at yet another beaver pond, this one much grander and more elaborate than the first. Waterfowl alight at this isolated blue-green gem set far back in the woods. Moose are present in the area, particularly noted in the tamarack swamp down the road, and it is only a matter of time before they discover this pond’s cool waters and lush vegetation, if they haven’t already. 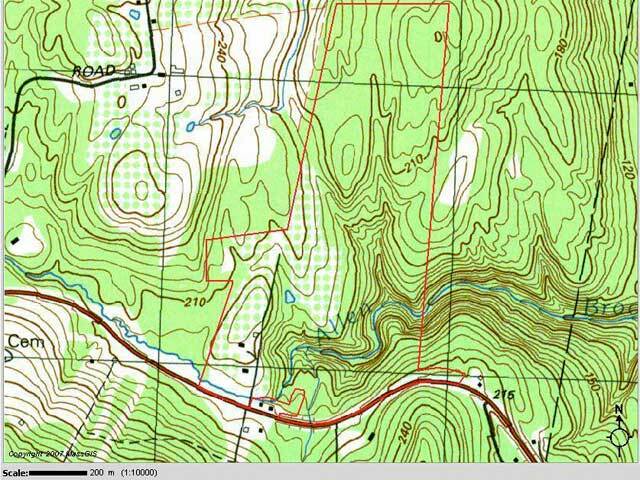 A whole host of upland creatures, including bear, deer, and turkey thrive in this block of more remote forest, and there is even talk of an enigmatic big cat roaming the woods. The beavers themselves continue to thin the wooded hills, eliminating much of the aspen that quickly filled the once-open pastures. 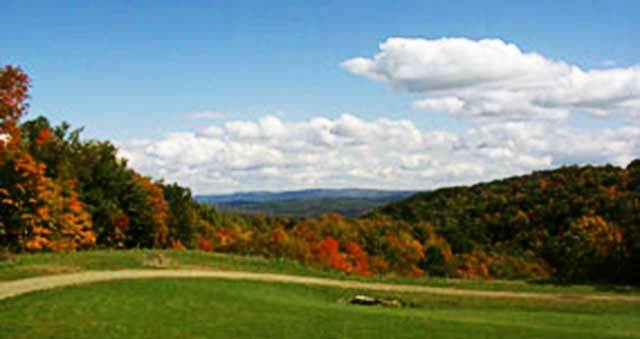 The outstanding view, the dramatic waterfalls, the human history of the dormant orchards, the expansive forest and its hidden denizens, and the brimming pride of Larry and Susan all combine to make this property unique and special in the landscape of Shelburne and of Franklin County. The legacy of the Taylor family is in jeopardy, for Larry and Susan are without heirs. Despite their success in transferring ownership from Susan’s father to themselves, they are now faced with an uncertain future for the farm that they promised to preserve at all costs. Development pressure is especially intense along this stretch of the Mohawk Trail – pressure which Larry and Susan are exceedingly well aware of. 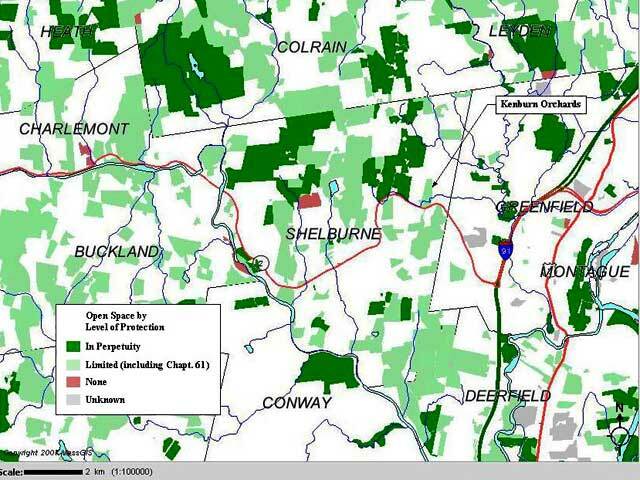 They have 2700 feet of commercially zoned frontage along Route 2, all of which is either woods or beaver pond at present. North-South Road, which leads up to their driveway, is actually a town road and thus constitutes another 1300 feet of road frontage. This makes for an extremely attractive and highly developable property, and it is not surprising that they regularly receive unsolicited propositions in the mail from individuals wishing to purchase their land, making all manner of promises and statements of intent. Yet such propositions have consistently gone into the trash barrel, thrown away without the slightest hesitation. Susan and Larry are resolute in their desire to keep the land from being developed, and without heirs, they see permanent protection as the only way to effectively fulfill the wishes of Susan’s father. A conservation restriction (CR) is the best tool to provide this “in perpetuity” level of protection. They cannot afford to gift the land away, so they are in search of an organization that would be interested in purchasing a CR for the property, most likely at a bargain sale price. They are even willing to sell much of the land in fee, provided it also has a CR placed on it. They have also considered the possibility of a reserved life estate – a very specialized conservation tool – which would allow them to reside on all or part of the land until death or some other specified event at which time the remainder of the estate would transfer to the buyer. A bargain sale and CR could again be incorporated here with payments arranged in innumerable ways, including an annuity or a deferred lump sum. The key to any of these options is finding an interested and cooperative land conservation organization to effect their wishes. They have been in contact with several so far without success. Larry and Susan know their time is limited, and they fear for the loss of their farm to development and the ensuing erosion of Shelburne’s precious rural character. While they are still alive and able, they will do everything in their power to prevent this. After all, that was Susan’s promise. Land really is a part of the family. Susan’s father viewed the farm as part of his family’s legacy, a place he loved and wanted future generations to love as well. Susan’s promise to keep the farm from being developed is a reflection of her family’s enduring bond to the land, and her desire to preserve it in perpetuity is her way of passing on the Taylor family’s legacy. Conservation takes time. Susan saw how her father’s untimely misfortunes nearly led to the sale of the farm, so she and Larry are trying to explore conservation options now while they are still in good health and able to maintain the property. Even with this foresight though, they are uneasy about what the future holds for the land and themselves. Development pressure is prevalent and persistent. Larry and Susan receive unsolicited mail on almost a weekly basis regarding interest in their land. They remain resolute and choose to ignore such offers, but the temptation is always present, waiting to capitalize on any moments of desperation. Chapter 61 is a start. Enrolling property in Chapter 61 provides only a minor level of protection, but it is effective in establishing a vision for the land, reflecting the ideals of the landowners, which paves the way for future conservation objectives. The farmhouse is constructed at the Allen Dairy Farm. K.Y. Taylor, Susan’s grandfather, buys 150 acres of the former Allen dairy farm. K.Y. Taylor and his sons plant 40 acres of apple trees. G.P. Taylor, Susan’s father, actively operates the farm, selling fruit at a farm stand along what is now the Mohawk Trail. Lacking money to buy the proper modern equipment, the decision is made to lease the farm to nearby Mohawk Orchards. G.P. 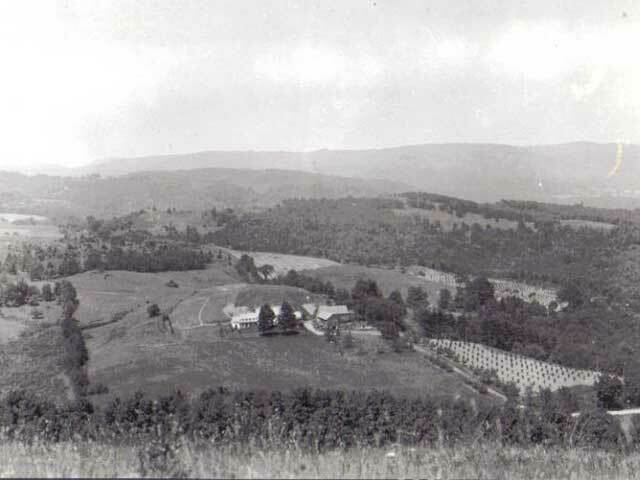 Taylor buys the farm from his father’s estate, passing it onto the second generation of Taylors. Larry and Susan move back to the area from Boston. Larry works briefly for Valley View Orchards, which leased the farm at the time. A brain tumor forces G.P. Taylor into early disability retirement, and he returns to the farm in Shelburne. It continues to be operated by Valley View Orchards under lease. Valley View Orchards terminates their contract, and the Taylors cannot find anyone to continue farming their apples. G.P. Taylor resists selling the farm, in spite of his disability and his wife’s confinement to a nursing home. Larry and Susan purchase the farm from Susan’s father. The property is enrolled in Chapter 61. Before her father’s death, Susan promises him that she will do everything possible to preserve the farm and their family’s legacy. 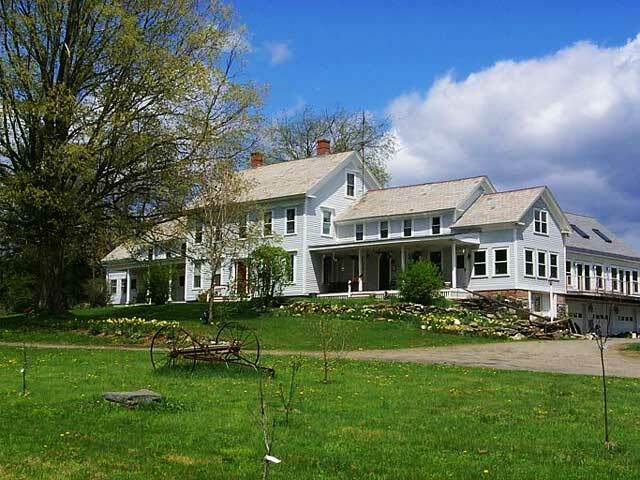 Larry and Susan move to the farm full-time, restoring the house and opening it as the Kenburn Orchards bed & Breakfast. The property is re-enrolled in Chapter 61. Berry bushes and Christmas trees are planted. A barn was constructed to house equipment for maintenance of the farm.